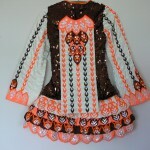 Amazing Siopa Rince 2 piece dress in excellent condition. 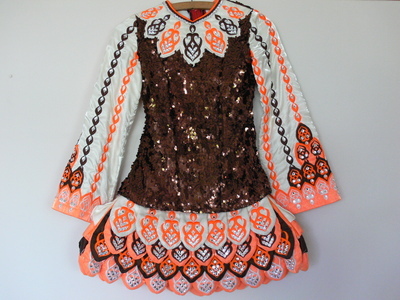 The bodice is made entirely of brown sequined material. 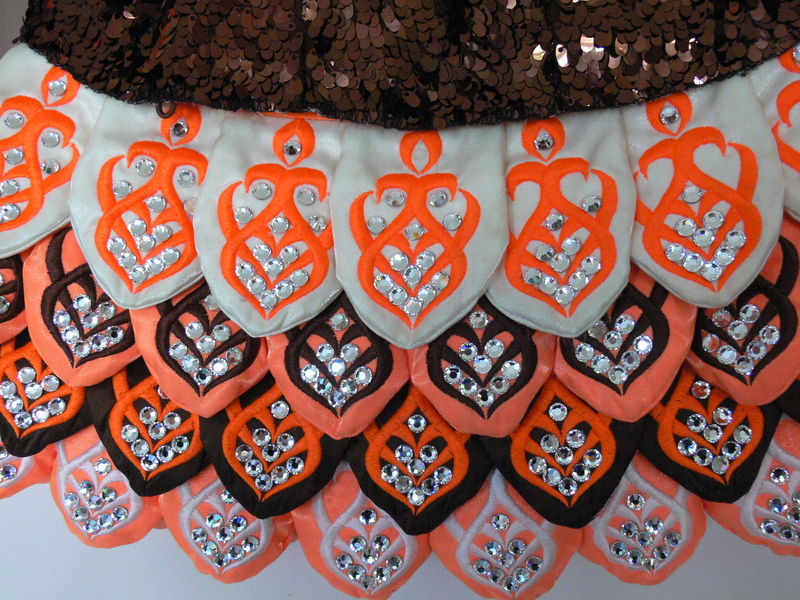 The skirt is made of 4 layers of petals, each layer in a slightly different colour. 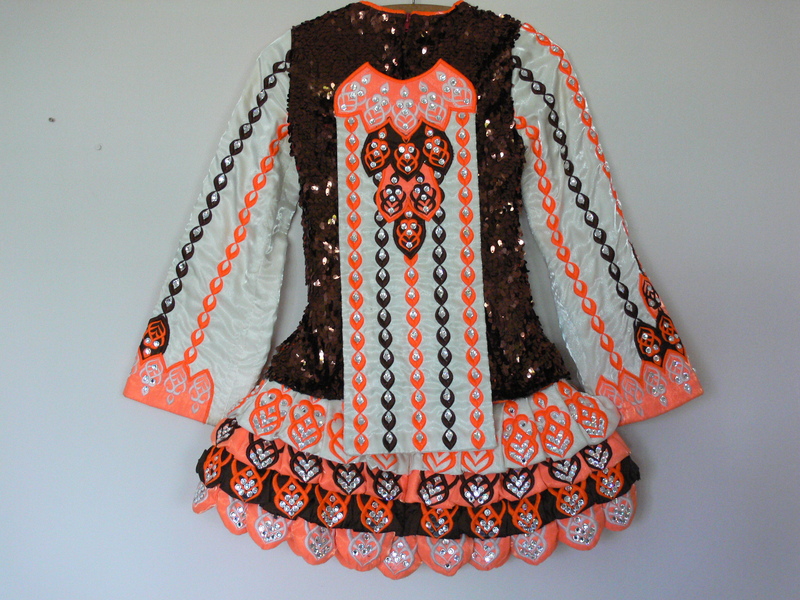 The neck, sleeves and cape are mainly in cream with orange and brown patterns. 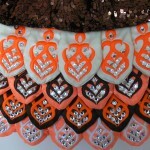 The dress and cape are adorned with hundreds of diamantes. The dress is truely eye-catching. Headband and knickers included. Please feel free to email me for any additional information or photos. This dress has been let down by 1 inch. As it is a 2 piece dress the length is easily reversed to suit a smaller child. Asking Price: Â£900. Shipping costs not included. Returns are negotiable.